This series of shots were taken in Tallinn, Estonia. We took our Mother and Sister there to explore, eat, drink and discover our Heritage. We travelled north to south, east to west and also to one of the islands. 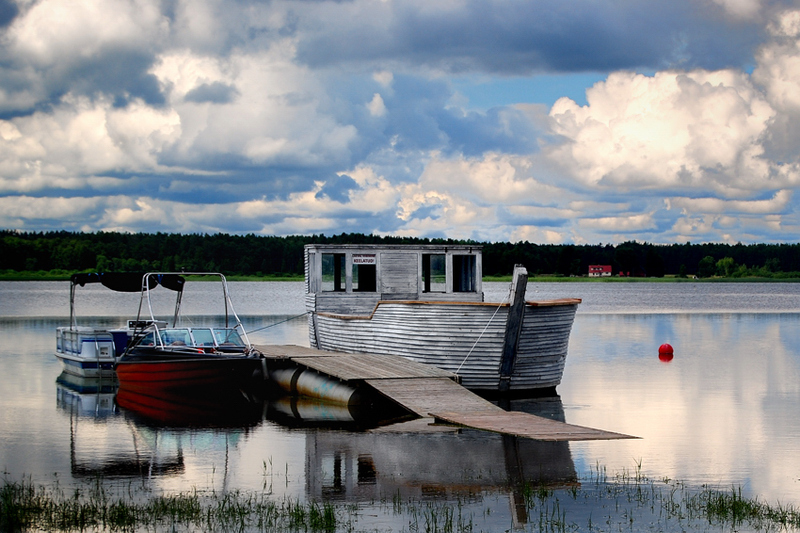 Estonia is still recovering after decades of Russian occupation after World War Two. Surprisingly, they (with the Finns) are one of the most connected countries, with close to 90% of Government, Public and Business on-line! If you ever have used Skype, it was created in Estonia! Cool, eh? Now a bit about Estonia and its struggle for Freedom! After Worls War II the Baltic States had been fully incorporated into the USSR after military occupation and annexation first in 1940 after a deal with the Germans and then again in 1944 when Germam campaigne against USSR fell apart. MUCH later Mikhail Gorbachev (Gorby) introduced “glasnost” (openness) and “perestokia” (restructuring) in 1985, hoping to stimulate the failing Soviet economy and encourage productivity, particularly in the areas of consumer goods, the liberalisation of co-operative businesses and the service economy. Glasnost rescinded limitations on political freedoms in the Soviet Union which led to problems within the non-Russian nations occupied in the build-up to war in the 1940s. Displaying the Flag was Illegal for Decades! Hitherto unrecognised issues previously kept secret by the Moscow government were admitted to in public, causing dissatisfaction within the Baltic States. Combined with the Russia’s war in Aghanistan and the Nuclear Disaster of Chernobyl, grievances were aired in a publicly explosive and politically decisive manner. 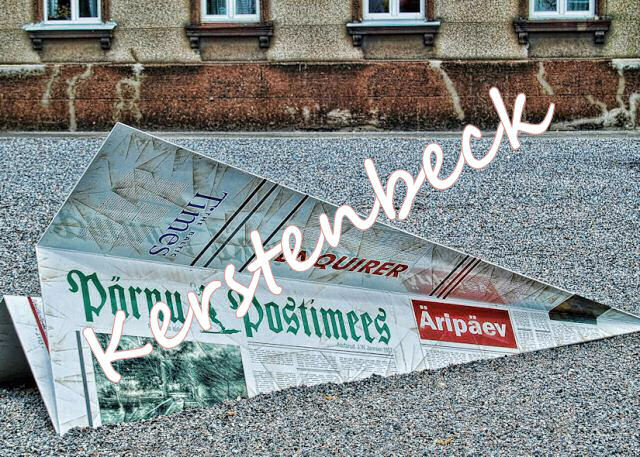 Estonians were concerned about the demographic threat to their national identity posed by the influx of individuals from foreign ethnic groups to work on such large Soviet development projects as phosphate mining – time to take action but cleverly! 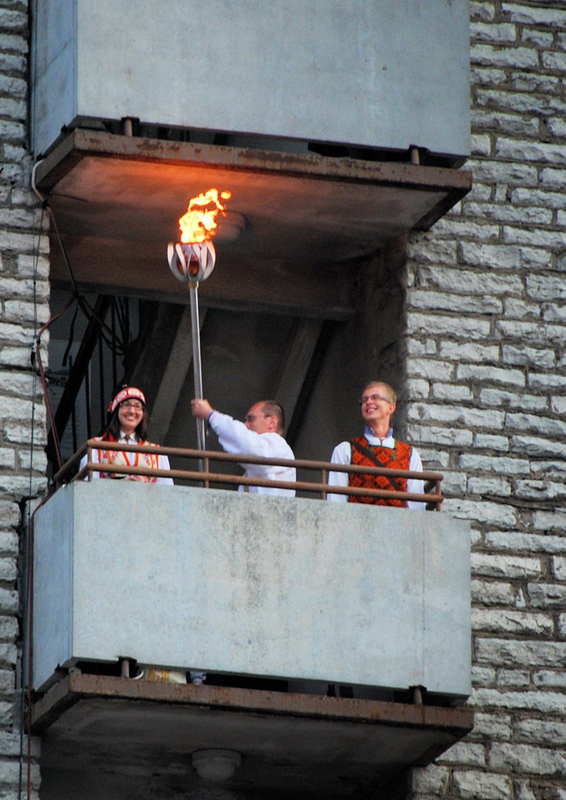 Dude, Careful with that Torch! Access to Western empire communities abroad and, particularly in Estonia, informal relations with Finland and access to Finnish TV showing the Western lifestyle also contributed to widespread dissatisfaction with the Soviet system and provoked mass demonstrations as repression on dissidents, nationalists, religious communities and ordinary consumers eased substantially towards the end of the 1980s. Massive demonstrations against the Soviet regime began after widespread liberalisation of the regime failed to take into account national sensitivities. It was hoped by Moscow that the non-Russian nations would remain within the USSR despite the removal of restrictions on freedom of speech and national icons (such as the local pre-1940 flags). However the situation deteriorated to such an extent that by 1989 there were campaigns aimed at freeing the nations from the Soviet Union altogether! 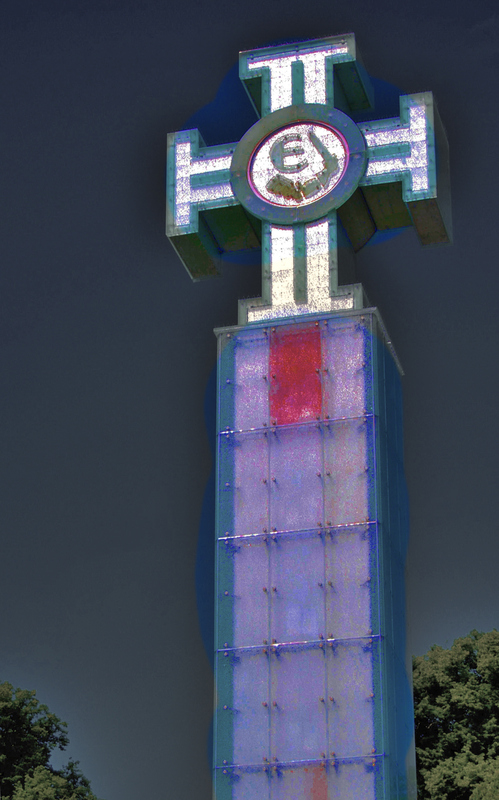 Now, even years after Liberation, Estonia is still fighting hard to rebuild after Decades of Soviet occupation and plundering. The lanscape is littered with Millitary Bunkers, collapsed Barracks, strange centrallized heat and water distributions systems. When the Soviets departed the took whatever they could including Art, toilets and door knobs! Now, Estonia is now also part of the European Economic Union and has been recognized as one of the most progressive and innovative Democracies! Amazing what a bit of Freedom can do! Have you ever heard 18 000 voices singing at once? 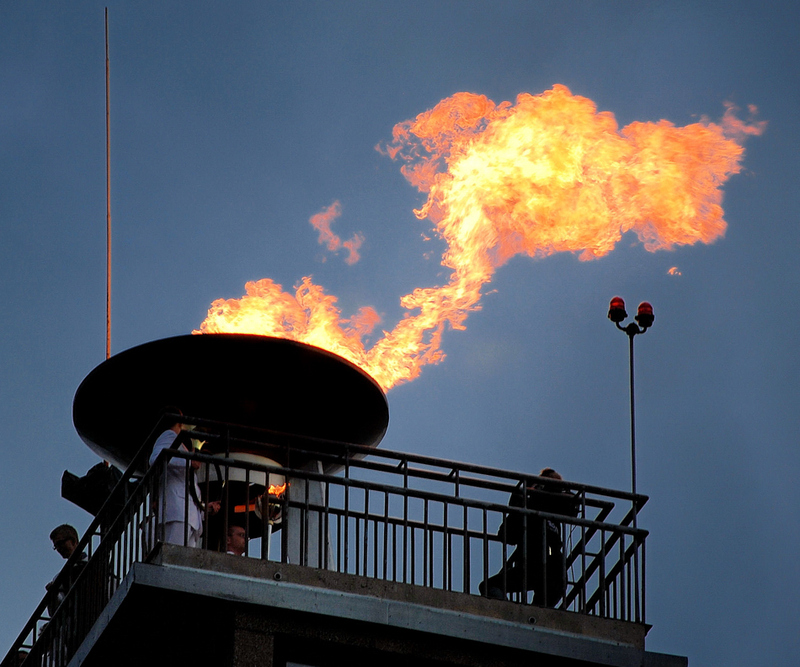 This emotional experience can be felt during Estonia’s Song Festival, which occurs once every five years in Tallinn. 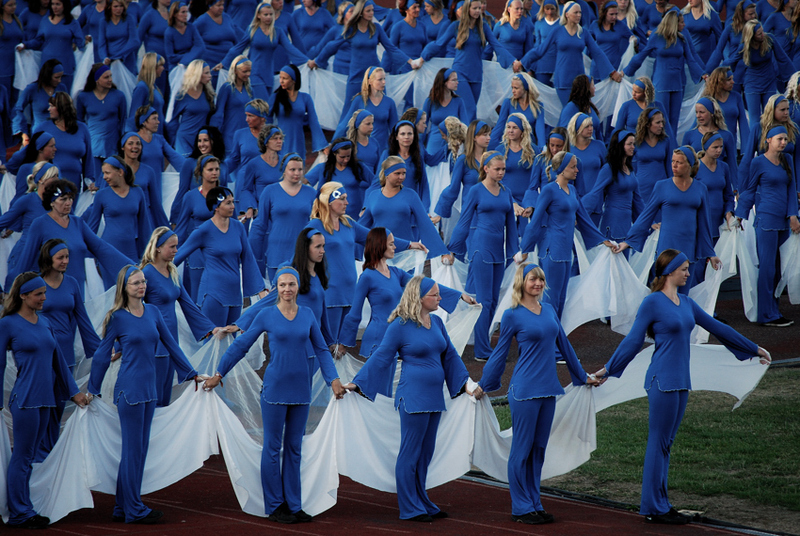 Once in five years, tens of thousands of Estonians gather in Tallinn in the summertime to take part in the Song and Dance Festival. 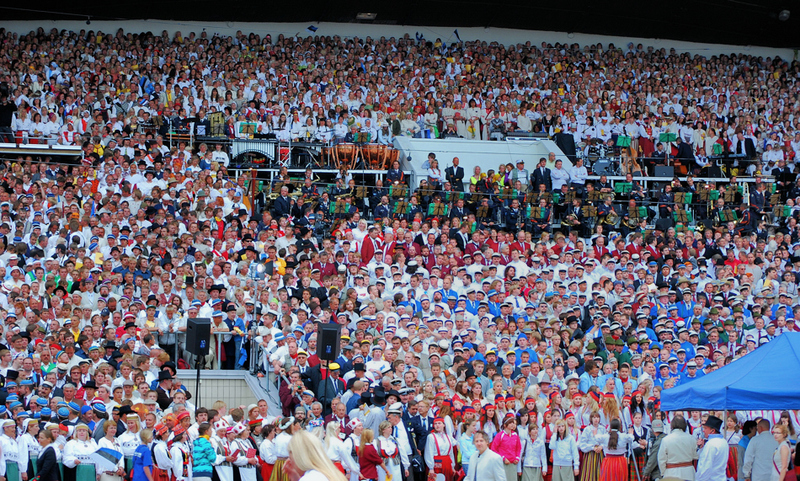 The Song Festival tradition in Estonia is 140 years old and is an enormous open-air choir concert held at the Tallinn Song Festival Grounds with the participation of hundreds of choirs and thousands of singers. 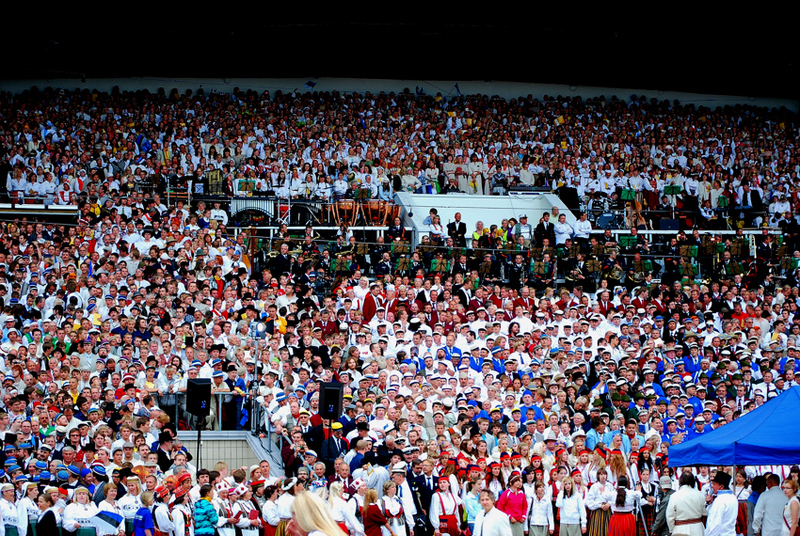 The number of participants in the Song Festival can reach up to 25 or 30 thousand, but the greatest number of people is on stage during the performance of the joined choirs—there are usually 18,000 singers on stage at that moment, and their powerful song touches even the most frigid Nordic disposition. In 1988 began the so-called “Singing Revolution”, based on the Song Festival tradition, when hundreds of thousands of people gathered in the Song Festival Grounds to make political demands and sing patriotic songs. 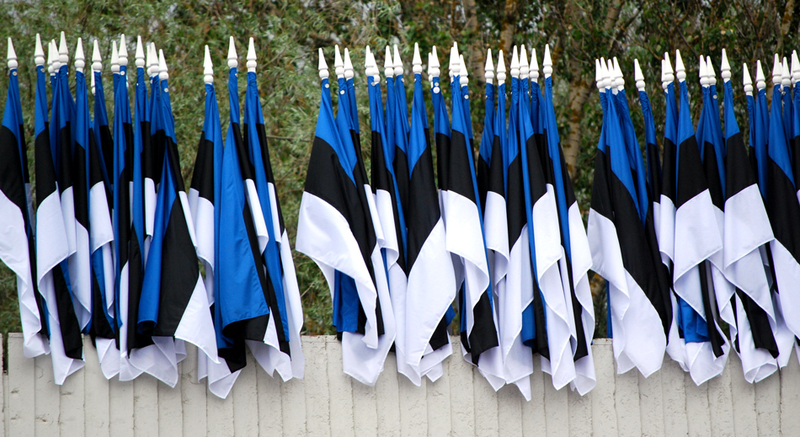 More than 300 000 people participated in a huge event entitled “The Song of Estonia” in September 1988, and for the first time the re-establishment of Estonia’s independence was openly demanded. 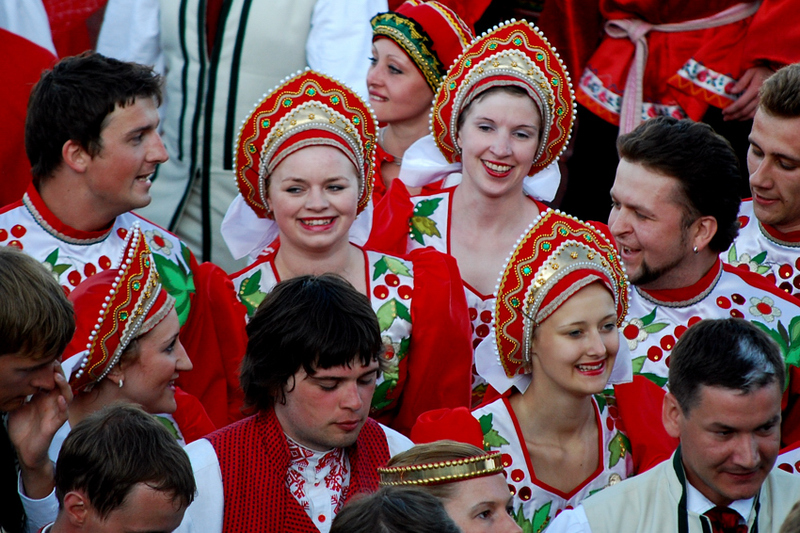 There is a belief that Estonians sang themselves free from the Soviet occupation. In a very cool town called Parnu, we were lucky to spend a couple of days- soaking in the sites- swimming in the Baltic and eating chocolate covered strawberries from a street vendor. Great time! 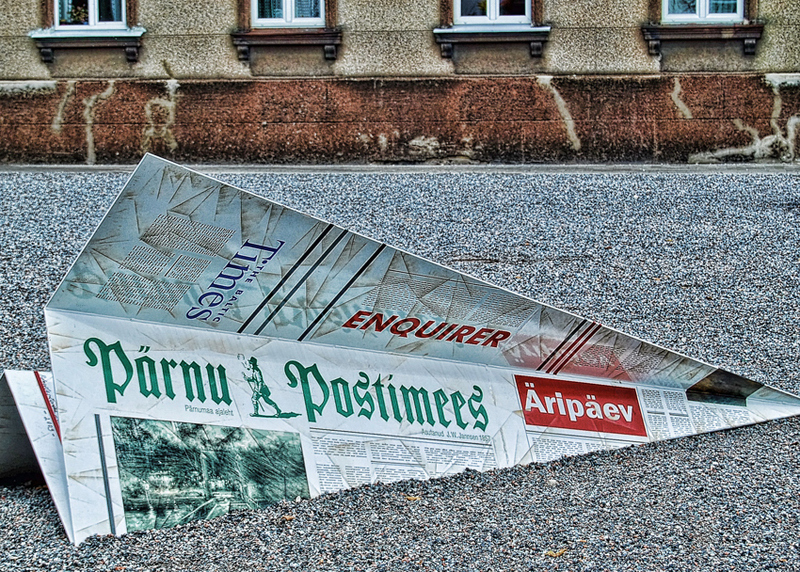 While there we took this shot of a fake paper airplane in front of the Newspaper office. Looks real, and we just love the quirky shots like this. Enjoy!